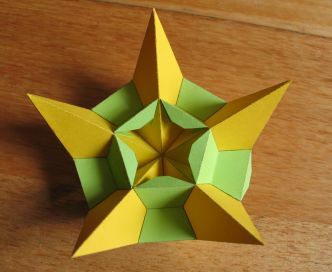 The great stellated 120-cell is number 12 in the list of uniform polychora in Stella4D, with the abbreviated name "gishi". 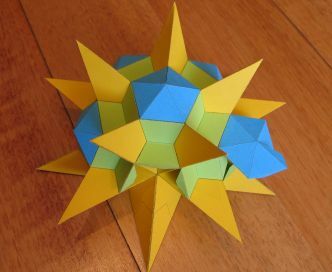 It is a regular polychoron, with 120 great stellated dodecahedra as its cells. 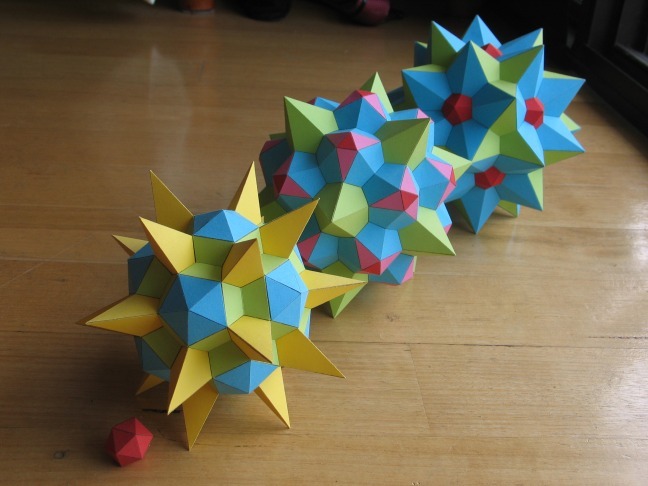 The model you see here is a 3D cross-section through that 4D polytope, taken 25% of the way through the model, along one of the 60 icosahedral symmetry axes, and coinciding with 20 of the polychoron's vertices. 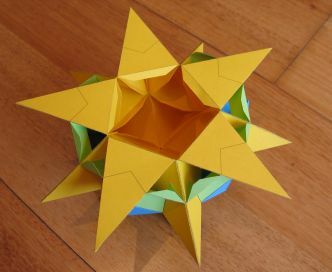 In Stella4D, use the yellow left and right arrows in the top right part of the cross-section view to step through slices that coincide with vertices of the model. 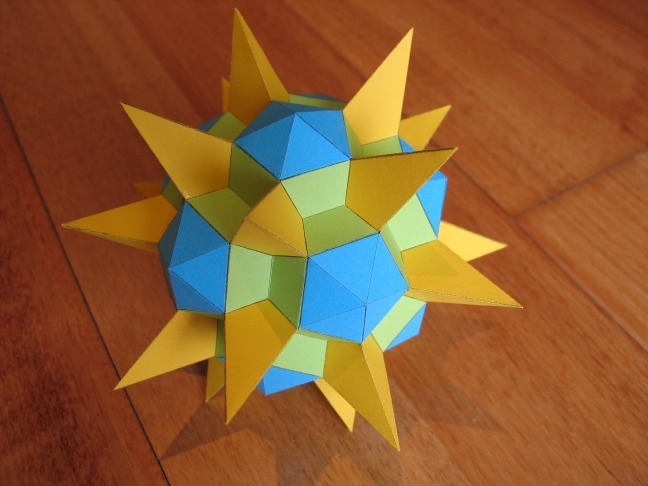 To ensure a robust model, I printed nets for a complete great stellated dodecahedron (yellow) and built other parts around this. About half-way here. It's not too hard to put together. The above stage upside down. 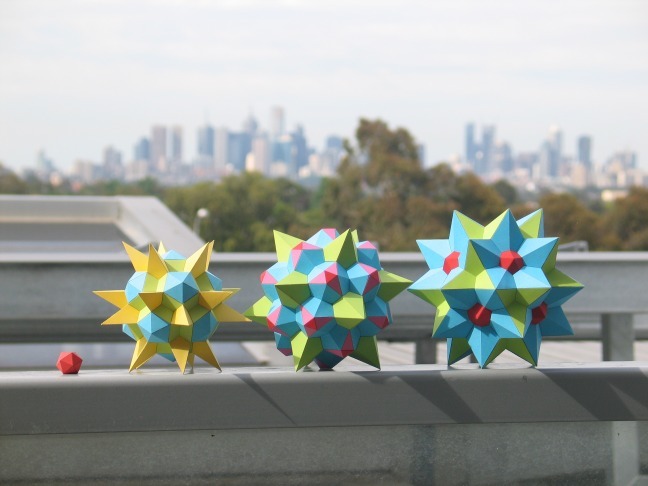 First an icosahedron at about 9.5% through the polytope. And again with the city of Melbourne, Australia, as a backdrop. Here's an animation of the gishi cross-section as the slicing hyperplane moves through the model. Can you spot the four cross-sections above?